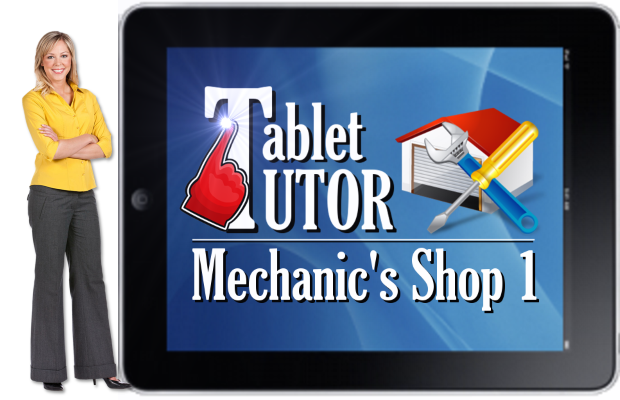 Tablet Tutor: Educational Apps for iPad, Android, Laptops, and More! 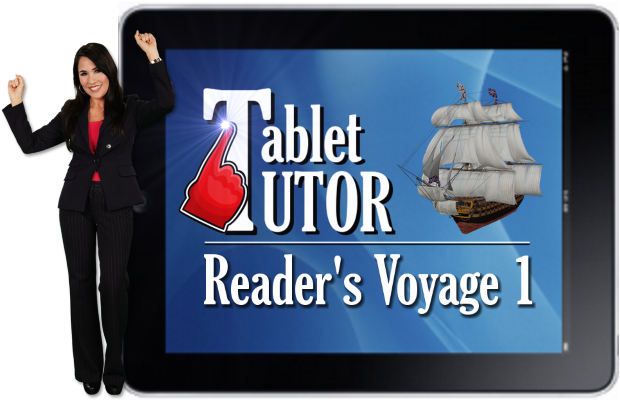 Tablet Tutor is streaming, interactive courseware that delivers meaningful middle school language arts content that will run on virtually any internet-connected device except for smartphones. Schools currently available include Usage University, Language Lab, Comprehension College, Mechanic’s Shop, and Writer’s Studio. All interactive review activities and quizzes yield recordable scores, and those scores may also be printed. Additionally, students are given the opportunity to compare their answers with the correct choices. The slideshow below contains sample screenshots from a few of the schools currently available. In addition, each of the featured schools in Tablet Tutor comes with “Your Local Library,” a glossary of terms and definitions from the current instructional content. 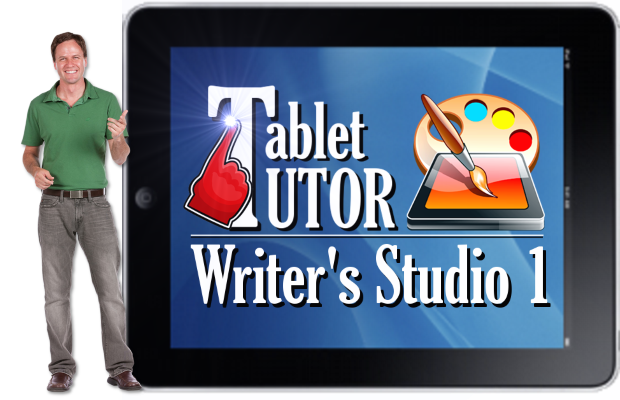 The free demos currently available from the Tablet Tutor Collection are listed below. All of these demos are complete and fully-operational. If you like what you see, I’d be delighted for these to become a permanent part of your classroom library! The full, registered versions are exactly like the demo version minus the “Free Demo” watermarks. And, each school costs no more than lunch. No subscription fees. No monthly or annual dues. No exorbitant costs. Use them with your current kids and all the kids who will replace them in the coming years. So, go ahead. Kick the tires. Jump in and take a spin around the block. I think you’ll enjoy the ride! Using Confusing Words is the focus of instruction for this school, and it is presented in the form of a 3D-style, page-turning book and an interactive timeline. Online practice and evaluation activities include 2 Levels of Word Bank Shuffle (drag and drop) and 1 Scholar Board (a 10-question, multiple-choice quiz). Online practice and evaluation activities include 2 levels of Snap Sticks (drag and drop) and 1 Scholar Board (a 10-question, multiple-choice quiz). Using Commas, Part 1, is the focus of instruction for this school, and it is presented in the form of a 3D-style, page-turning book and an interactive timeline. Online practice and evaluation activities include 1 Level of Target Spots (tap to place), 1 level of Snap Sticks (drag and drop) and 1 Scholar Board (a 10-question, multiple-choice quiz). 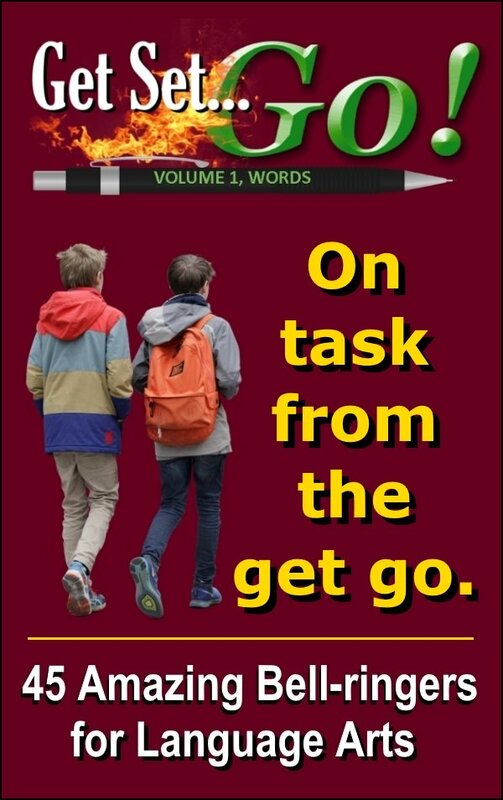 Steps in the Writing Process, is the focus of instruction for this school, and it is presented in the form of a 3D-style, page-turning book and an interactive timeline. recall and sequence the five steps in the writing process. discuss activities to take during each of the steps. recognize the importance of identifying purpose and audience. list at least 4 methods for writing an intriguing lead. recognize the importance of revising and proofreading. Online practice and evaluation activities include 2 Levels of Stick Stack (drag and drop) and 1 Scholar Board (a 10-question, multiple-choice quiz). The Basic Elements of Fiction, is the focus of instruction for this school, and it is presented in the form of a 3D-style, page-turning book and an accordion-style interaction. define fiction as a unique type of literature. recognize that plot is a series of related events comprising a story. recall the two components of setting. distinguish the protagonist from the antagonist. give examples of complications in fiction. Online practice and evaluation activities include 2 levels of SnapSticks (drag and drop into correct matching pairs) and 1 Scholar Board (a 10-question, multiple-choice quiz). Online practice and evaluation activities include Target Spots (tap to identify), Snap Sticks (drag and drop), and 1 Scholar Board (a 10-question, multiple-choice quiz). Identifying Pronouns is the focus of instruction for this school, and it is presented in the form of a 3D-style, page-turning book and an expanding/contracting interaction. recognize that all pronouns have antecedents. 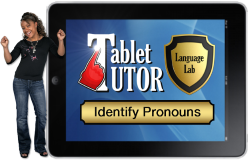 identify pronouns correctly in sample sentences. distinguish first, second, and third person personal pronouns. locate subject and object pronouns. Identifying Adjectives is the focus of instruction for this school, and it is presented in the form of a 3D-style, page-turning book and an expanding/contracting interaction. Online practice and evaluation activities include Word Bank (tap to place), Target Spots (tap to locate), and 1 Scholar Board (a 10-question, multiple-choice quiz). Online practice and evaluation activities include Word Bank (tap to place), Snap Sticks (drag and drop), and 1 Scholar Board (a 10-question, multiple-choice quiz). Online practice and evaluation activities include Target Words (tap to locate), Snap Sticks (drag and drop), and 1 Scholar Board (a 10-question, multiple-choice quiz). Identifying Conjunctions and Interjections is the focus of instruction for this school, and it is presented in the form of a 3D-style, page-turning book and an accordion-style interaction. define acronym and explain how it relates to conjunctions. recognize conjunctions that connect words, phrases, and clauses. define independent clause, run on sentence, and compound sentence. define and give examples of interjections. identify conjunctions and interjections in sample sentences. Online practice and evaluation activities include Word Bank (tap to drag and place), Snap Sticks (drag and drop), and 1 Scholar Board (a 10-question, multiple-choice quiz). 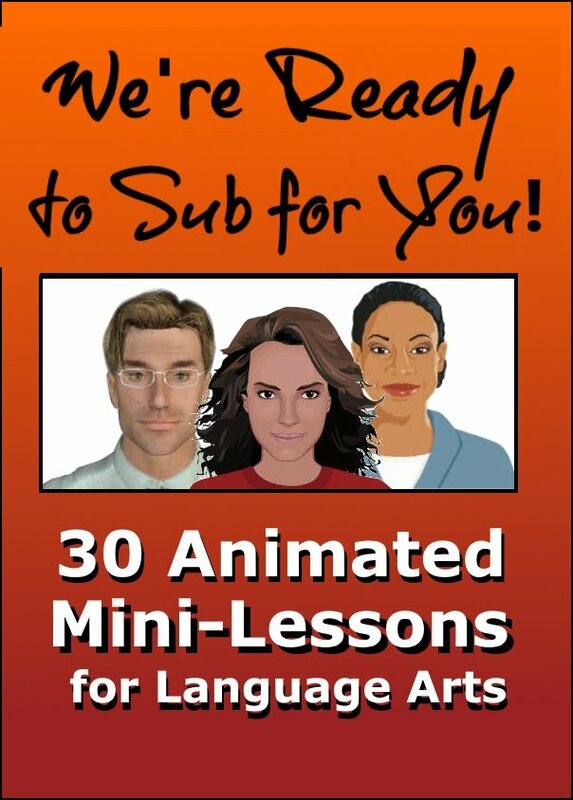 Save 50% on all of the parts of speech mini lessons and get the bonus pack completely free of charge! Each school of Tablet Tutor takes about 2 weeks to research and write, to select and design supporting graphics, and to program into HTML5. 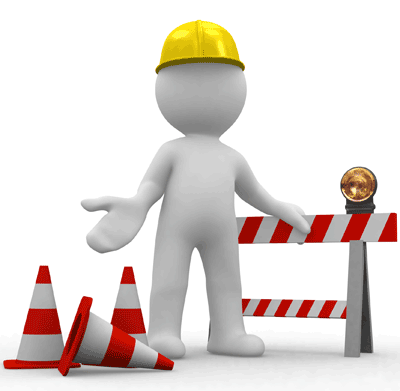 The quickest and easiest way to do that is to check the most recent news release on News on Tools. Thank you for allowing me to occupy a little bit of your time today, and most importantly, thanks for all you do for kids.